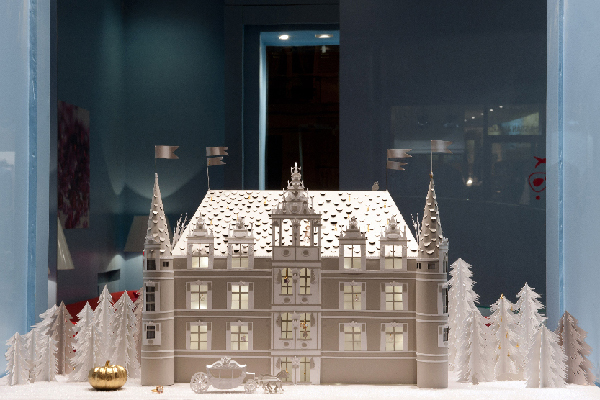 With the holidays upon us, window displays are front and center. From Bergdorf’s legendary masterpieces to the many brands that spare no expense to make their products shine, there are legions of art directors and set designers behind the scenes who make it all possible. 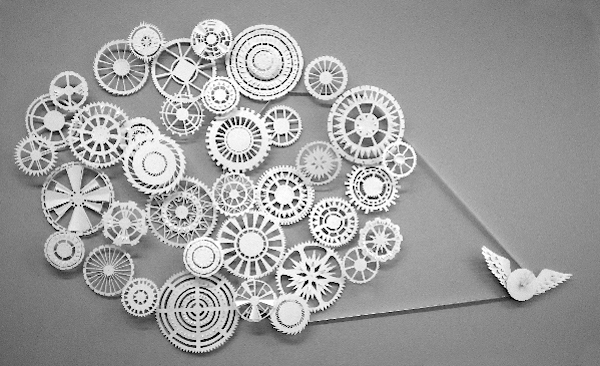 One such artist is Mathilde Nivet, whose brilliant works of paper are not only exquisite but intricate and innovative. 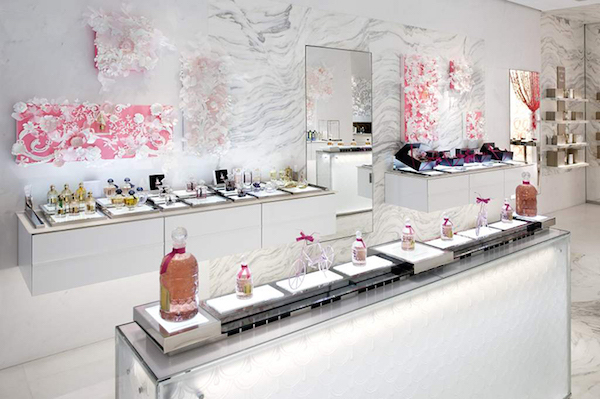 Guerlain frequently collaborates with artists for their displays, which is how I discovered the brilliant work of Marie Christophe when I was in Versailles with my girls. For the flagship store in Paris, Mathilde Nivet created this elegant and feminine set design. The almost frothy three dimensionality of the artwork is intoxicating. 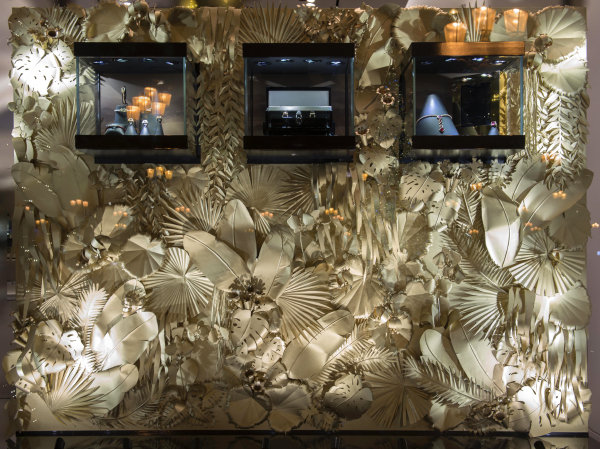 In a holiday window for the Parisian jeweler Fred in their Place Vendôme boutique, Nivet created an elaborate golden paper jungle. 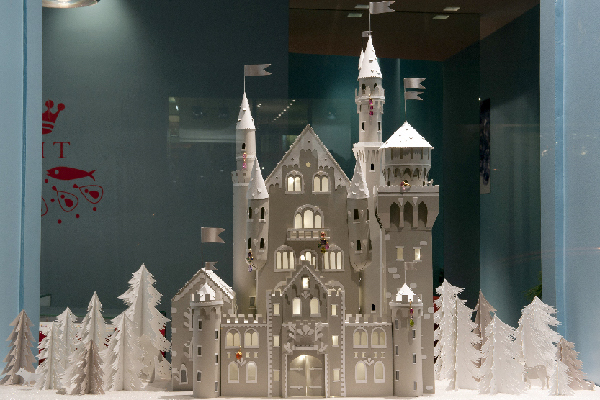 And several years ago for the Paris holiday windows for cult favorite Marie Hélène de Taillac, she fabricated a romantic winter wonderland with paper recreations of the castles at Neuschwanstein and Azay-le-Rideau. 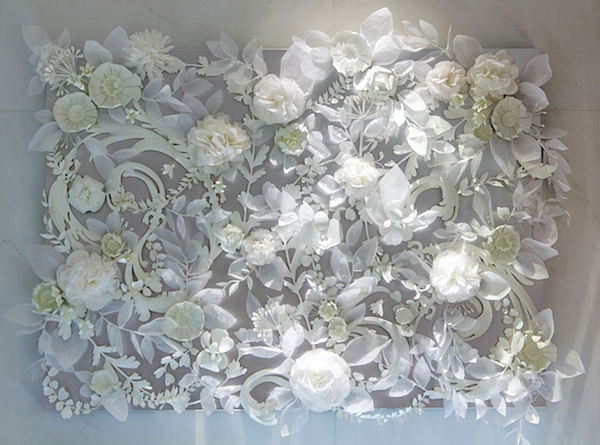 While most of her work appears to be in paper, she is open to other materials. 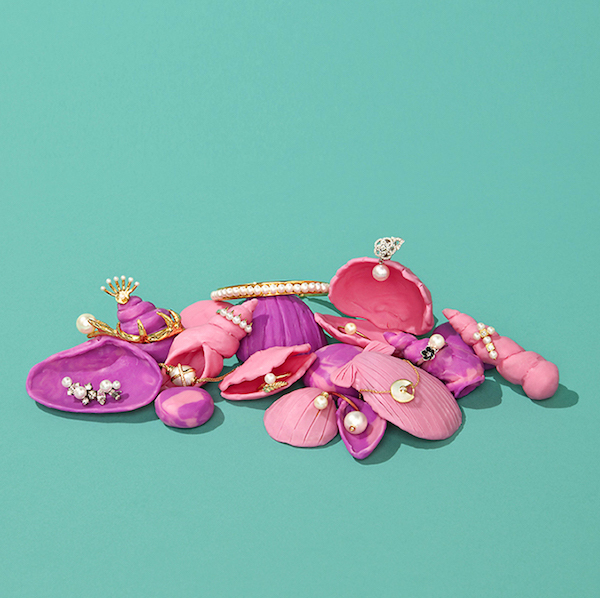 Below is an amazing jewelry editorial she completed for Be Magazine out of playdough. 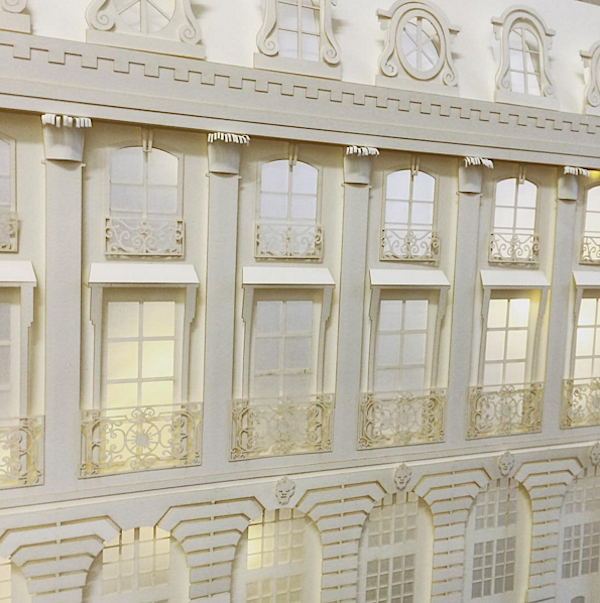 In looking for what she is working on for the upcoming holiday season, I noticed on Instagram, she posted a sneak peek of an upcoming installation on Rue de la Paix, which I recognized as the beautiful Cartier building. 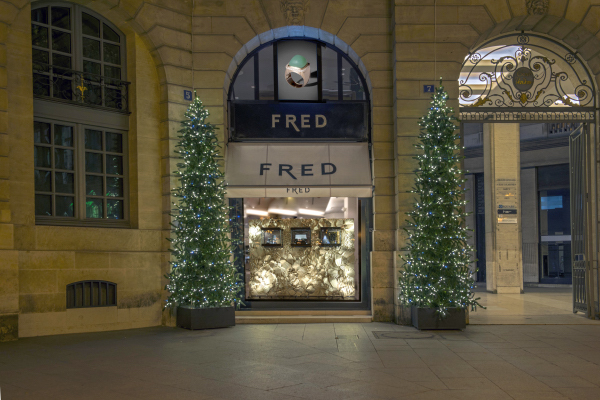 So for those of you in or visiting Paris over the holidays, be sure to take a walk by the store to see the windows. As we are all out and about for the season, let us remember to recognize the work of all the talented artists like Mathilde Nivet behind the amazing displays. This entry posted in art. Entry Tags: art, Holidays, Mathilde Nivet, paper art, window display Bookmark the permalink. 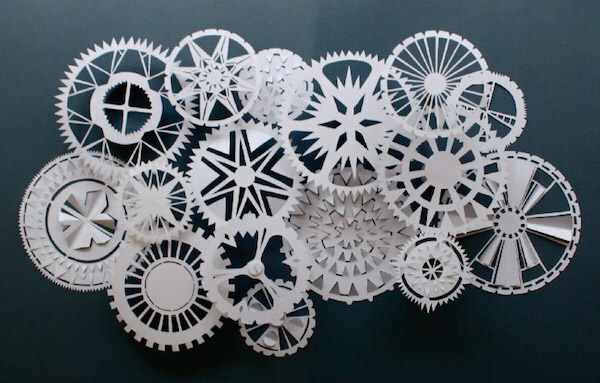 I love paper art and this is all so beautiful! Thanks for this beauty break. Her work is captivating. Her work is candy for the eyes and soul. Wow. So amazingly cool! And I love your description “frothy….intoxicating” art! 81 queries in 0.381 seconds.